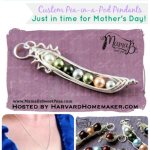 Tiny Prints $50 Gift Certificate Giveaway–EXPIRED! Winner: h35champ! 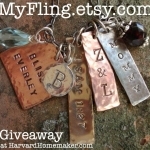 This giveaway has expired… it was originally run here where my blog originated. Thanks for checking out my very first giveaway! I am so excited to host it, and I think it’s a great prize! The winner will receive a $50 gift certificate to Tiny Prints, my very favorite place from which to order holiday cards, invitations, thank you notes, etc. They also have a large assortment of great photo gifts, such as photo books, mugs, and personalized iPhone cases. * or if you don’t use any of the above, please simply email your friends and tell them about my new blog! :) Thanks! Please leave me a comment below telling me what you did! Side note: I know leaving a comment requires that you get a Shareist account. This is to protect the site from spammers. FYI, I spent a long time deciding which platform I wanted to use to power my site–Shareist won in a landslide. I love it. Not only do I use it for this blog, but I also have a private online notebook to keep track of things I find around the internet and want to remember. So as long as you are getting an account, maybe you’ll find that it will be useful to you personally as well! This giveaway will expire Thursday, November 8, 2012, at 11:59 pm Eastern. Sorry, no more entries after that time. Your gift certificate will be sent ASAP once I have the winner’s information. Sorry, the gift certificate can only be sent within the US and Canada. Please let me know if you have any questions. Thanks for playing! 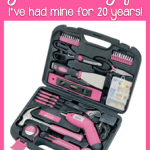 I’d love it if you told your friends about this giveaway, too!